Photoshop.com now works with your mobile phone. Okay, so we are not talking about the full version of the program being magically shrunk to fit on you cell phone, but the new free application available for iPhone, Windows Mobile, and Android based phones does bring Adobe's imaging credentials to the handheld device market. 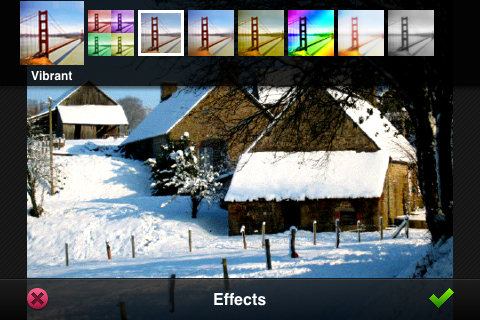 Old news for some of you I am sure, but it is good to see that Adobe has not only released the iPhone version of it’s mobile Photoshop app to the rest of the world (originally it was only available in thr USA) but they have also produced Android and Windows Mobile flavors as well. Have a look at all three here. 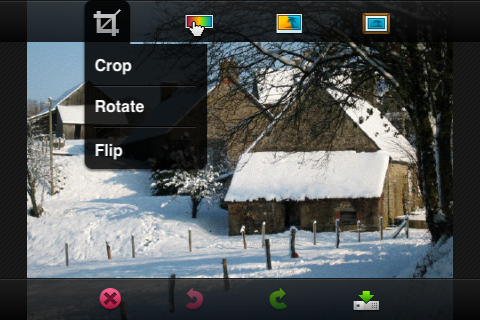 Don’t expect this application to be a portable version of either Photoshop or Photoshop Elements, that is strictly the domain of the desktop versions, but do expect this easy to use program to make enhancing, presenting and sharing the images you take with your camera phone a whole lot easier. site providing multiple ways to spread the photos you love the best. That said, let’s look a little closer at the application. There are four key areas of the application – Edit, Online, Upload and Settings. Edit – This is were the action is. Select photos that you have already taken or snap a pic with the phone’s own camera and then start to play with the adjustments. You can crop, alter exposure, saturation and contrast, convert to black and white and even tint your images. You can also apply a sketch, soft focus or sharpen filter or explore a range of different effects such as adding a vignette blur, a warm vintage look, rainbow like colours or a white glow. Finally, add a border or edge effect to finish off the process. 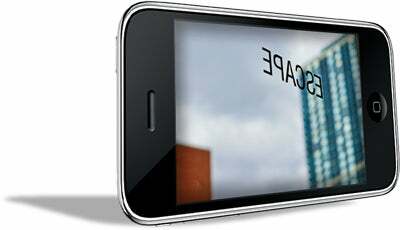 On the iPhone version, most effects are adjusted with touch gestures, increasing the strength of the change by dragging across the touch screen. Cool! Online – The application is cleverly linked to Adobe’s online sharing and gallery site – Photoshop.com. This area of the application displays your library and any shared albums you have created. Base level membership to the site is free with additional space requiring a small payment. Photos can be displayed individually or as apart of a slide show and, in the iPhone version, the display changes from portrait to landscape aspect as your rotate the phone. You can also share you images from here as well. Just pop in a message and an email address and click share. Upload – Linking directly with your Photoshop.com account, the upload area provides you with the ability to transfer images from your phone to your library or albums. As part of the process you can add a description to the photo which will then appear as a caption when viewing the photos as a gallery online. Settings – Add you Adobe ID to this section to link your Photoshop.com account to the mobile application. There is also the option to display or hide tool tips. Showing the tips is a great way to learn the functionality of each feature and being able to turn them off means they don’t get in the way of the experienced user. Given the simplicity of the application, I was quite surprised at just how much control I had over the image editing side of things. Okay, ‘real photographers’ may well scoff at making any changes to photos using a phone but for all those candid photos that may not be my ‘serious’ work but are still important to me, the immediacy of being able to shoot, teak and upload in a few simple steps is too irresistible to ignore, Don’t believe me? Well have a play for yourself. The application is free on all platforms. 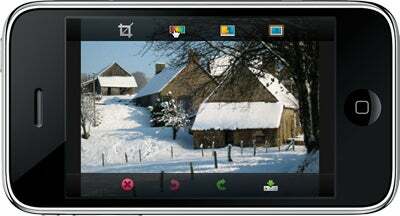 Check out this video of Photoshop.com Mobile in action on an Android based phone.